When she was seven, a horrific fey attack killed Donna Underwood's father and drove her mother mad. Her own nearly fatal injuries were fixed by alchemy - the iron tattoos branding her hands and arms. Now seventeen, Donna feels like a freak, doomed by the magical heritage that destroyed her parents and any chance she had for a normal life. Only her relationship with her best friend, Navin, is keeping her sane. On an otherwise glossy day, a blast goes off and a body thuds to the ground at Nora's feet. There are terrorist attacks in the city all the time, but Nora can't forget. So Nora goes with her mother to TFC - a Theraputic Forgetting Clinic. There, she can describe her horrible memory and take the pill that will erase it. 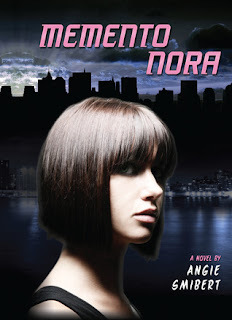 But at TFC, a chance encounter with a mysterious guy changes Nora's life. She doesn't take the pill. And when Nora learns the memory her mother has chosen to forget, she realizes that someone needs to remember. I also received my DVD of Tomorrow, When the War Began from Australia this week! (AHHH! FINALLY!!! and other fangirlishness) Review is up here. A-mazing! I can't wait to read The Iron Witch... it looks really good! Great reads. I really liked Siren and I want to read Iron Witch.